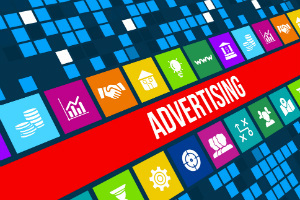 Google will crack down on cryptocurrency ads as well as content advertising other “unregulated or speculative financial products”, Scott Spencer, Director of Sustainable Ads at the tech corporation, announced in a blog post from earlier today. The announcement comes shortly after it became known that Facebook confirmed that it would block all cryptocurrency ads featured across its network. Google will roll out updated policies on advertising in June and these would include a ban on adverts for cryptocurrencies, initial coin offerings, cryptocurrency exchanges and wallets, and trading advice. Adverts for unregulated and speculative products, such as foreign exchange markets, binary options, spread betting, and contracts for difference, will also be addressed in Google’s pending clampdown, Mr. Spencer confirmed. The tech giant said that its decision was urged by the growing instances of consumers becoming victims of “online scams”. The growing popularity of cryptocurrencies and other financial services and products has created conditions for the proliferation of scams, reports from the past several years have shown. As mentioned above, Google is also planning to block ads for contracts for difference and spread betting, which are known to be financial instruments that allow people to place bets on the movement of various assets. Products of this kind have been subjected to serious criticism over the years due to their rather controversial nature, issues related to their regulation, and the multiple instances of people being scammed by advertisers and providers these same products. Mr. Spencer’s blog post also contained information about the number of ads taken down by Google over the course of 2017. The tech giant removed more than 3.2 billion adverts from its network or 100 “bad” ads per second. The figure reported represented nearly a twofold increase from 2016, when 1.7 billion adverts that violated Google’s advertising policies were taken down. Last year, Google also reported that 17 million of all ads removed in 2016 were ones that promoted gambling-related services and products. It is still unknown how many such advertisements were taken down in 2017. Mr. Spencer said in his blog post from earlier today that Google has updated its gambling advertising policies to include newly emerged methods of gambling, that is gambling with items that have “real-world value”. Ads for skin gambling, or the use of virtual goods for betting on the outcome of games of chance and professional matches, have also been included in the tech giant’s upgraded policies. 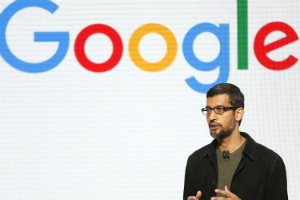 Google’s Director of Sustainable Ads further pointed out that the corporation plans to introduce an upgraded certification process for facilities for rehabilitation, making it easier for centers for addiction treatment to reach out to consumers with problem behavior, including gambling addicts and people showing patterns of problem gambling behavior.